The Christmas tree at Rockefeller Center is an institution, and the lighting ceremony (December 3rd in 2014) is the official start of Christmas in New York. No expense is spared – 30,000 LED lights cover the tree topped with a Swarovski crystal star, and a celebrity guest is usually enlisted to help with the turn-on. But be warned, if you’re going to attend you really have to commit; tens of thousands attend and people start turning up at noon, so you’ll have to get there at least a few hours before the ceremony begins to have a hope of seeing the tree. Go prepared in warm, comfy clothes – a thick coat, gloves and warm shoes are essentials! There’s also an ice rink if you want to skate while you wait. The ice rink at Rockefeller Plaza is hyped as the quintessential New York experience, but in reality it isn’t as glamorous as the photos make it seem. If you covet the movie-moment experience, go for it, but if you actually want to skate there are several better options you may want to consider. 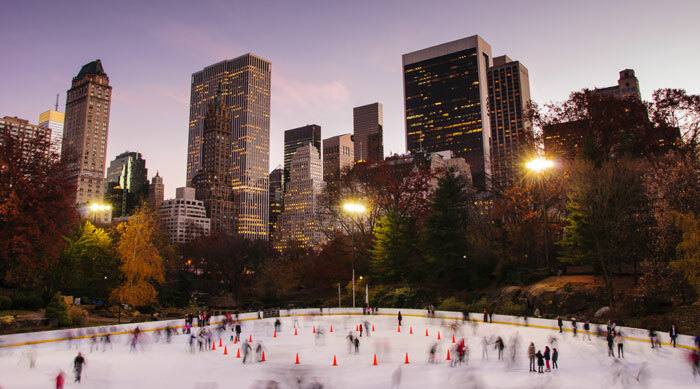 Central Park is home to two rinks; Wollman Rink has a picture-perfect backdrop of the city skyline, while Lasker Rink is the cheaper option at around $14 for admission and skate rental. Union Square’s rink, sandwiched between Saks and Macy’s, lies in the shadow of the square’s giant Christmas tree, while Bryant’s Park boasts free admission to its rink, but with a $15 rental fee it’s only a great bargain if you bring your own skates. A christmas holiday in New York is not complete without this; the famous Fifth Avenue game of ‘who-has-the-most-extravagant-window-display’. 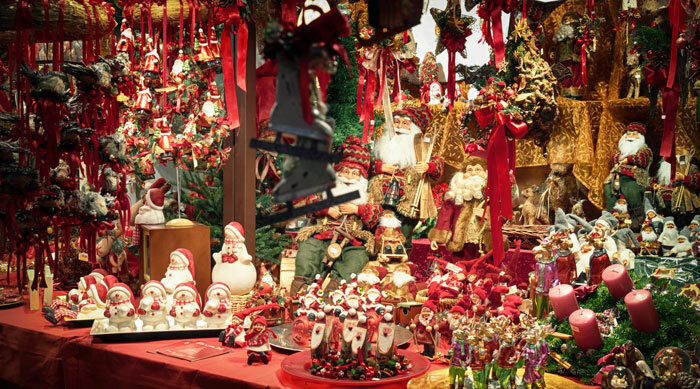 Each high-profile shop has its own theme, which generally include combinations of snow, glitter, presents, Santa, glamorously-dressed mannequins, and whatever else the designers have thought of that year. 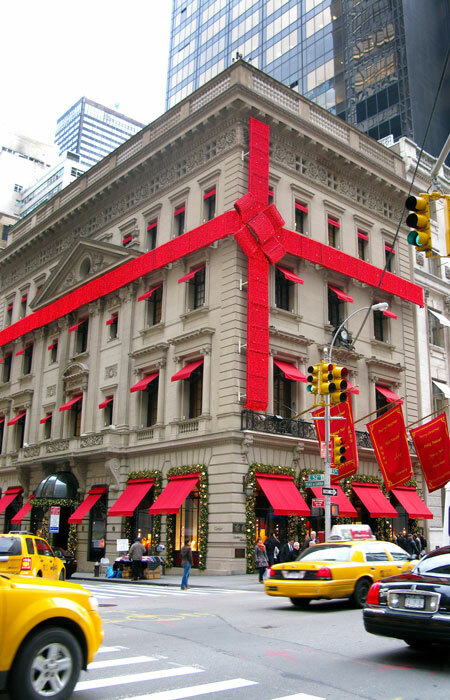 The most famous windows are found at Macy’s, Barney’s, Saks, Bloomingdales, Henri Bendel, Lord & Taylor and Bergdorf Goodman, and can all be visited on foot in around an hour and a half…if you don’t stop to shop. 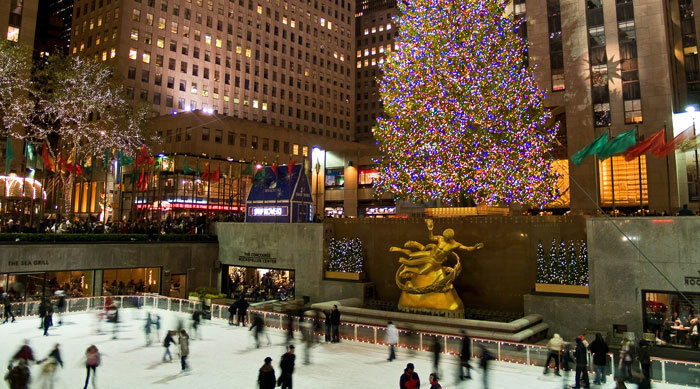 Shopping is a New York city break staple, and at Christmas there are even more options. Originally a German tradition, the rest of the world has jumped on the Christmas Market bandwagon and New York is no different. 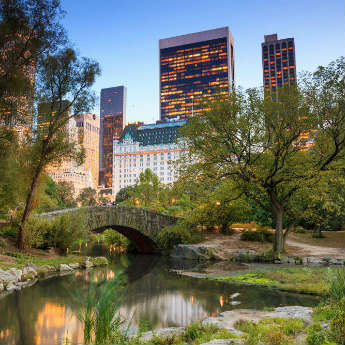 The most popular markets are in Bryant Park, Union Square and Columbus Circle on the edge of Central Park, and are the ideal place to pick up a delicious Christmas drink and browse an evening away. 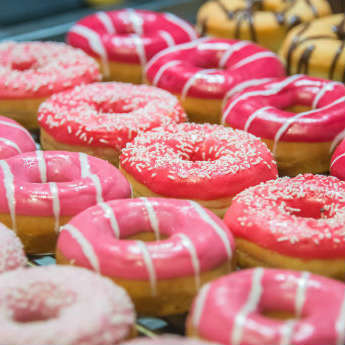 The independent retailers offer a wide range of goods including handmade jewellery and accessories, home decorations and luxury foods, making it the perfect place to shop for unique gifts. The most male-friendly market is at Union Square, where you can find a wide range of male accessories and brew-your-own-beer kits. Want more? 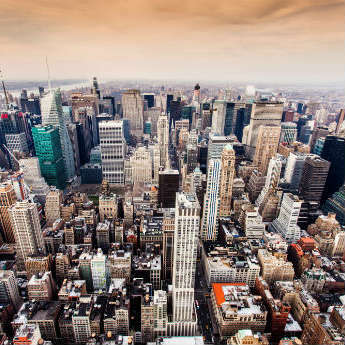 Find out the top 10 free things to do in New York.